Houndsditch office rental is a contemporary Business Centre that is situated between Aldgate and Liverpool Street tube stations. With superb transport links via the underground network, local facilities within this area are plentiful with bars, shops cafes and restaurants close by. Inside the Centre itself the interior has been fitted out to a high standard. The main reception on the ground floor when entering the property is a good size and consists of lifts to all floors. There are numerous serviced offices to let that can fit a wide range of square foot requirements making this location an ideal base for quickly expanding companies. 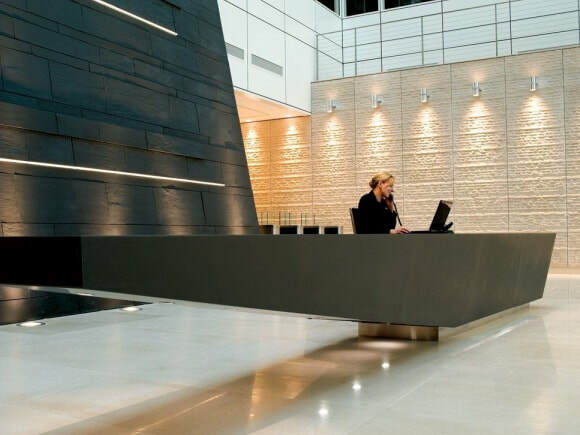 Telephony and IT points are pre-installed within the suites and organisations have the option to bring their own furniture or use the furniture provided. Hire of boardrooms and conferencing facilities are on-site.